Great Z's: Should You Eat It? 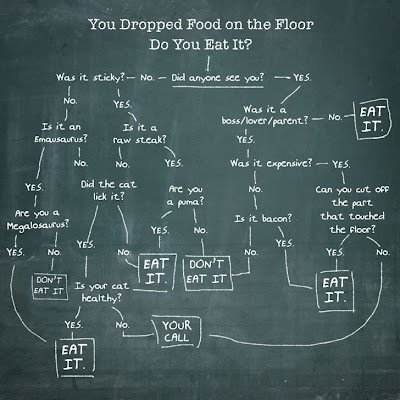 Hilarious algorithm for when to eat food after dropping it on the floor. Courtesy of SFoodie.